Another day, another institute of higher learning indoctrination shutting down free speech. Sort of. 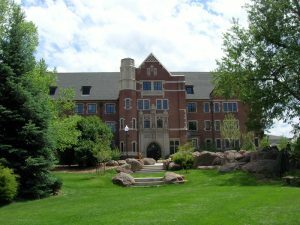 This time it’s close to home at Regis University in Denver. Apparently, a student group, Young Americans for Liberty, hoped to protest the school’s Social Justice Week by selling cookies and cupcakes for lower prices to historically oppressed groups. “Beck recounted that McSheehy proceed to lecture them in her office for over an hour, insisting that their group was ‘not allowed to table,’ even though they had received approval the day before from an employee with the Event Services office to hold the event, noting that the group has utilized the same procedure to schedule tabling and meeting space for several months without incident. “McSheehy, however, told the students that because their event was considered a ‘demonstration’ to protest Social Justice Week, they needed to request permission 48 hours in advance. Paperwork, schmaperwork. For the love of God, Regis, just let the students sell some damn cupcakes.